An underground mine fire in Centralia has been burning uninterrupted for decades. A close-up of old Route 61, just outside Centralia. Photo by Failure magazine. This story begins in May of 1962 with an unremarkable rubbish fire in a non-descript little town called Centralia. Located in Columbia County, 120 miles northwest of Philadelphia, Centralia had long been a thriving coal mining community, home to 1,100 people, many of them second and third generation miners. Perhaps that is why a small pile of burning trash didn’t attract much attention, even after it ignited a coal seam on the outskirts of town, triggering an underground mine fire. Certainly, no one imagined that the conflagration would one day merit international media coverage, or that it would reduce the local population to fewer than 25 residents. In fact, virtually all that remains from 1962 is the fire, which has now been burning uninterrupted for nearly 40 years. Today, the first thing one notices when entering Centralia is just how quiet it is. A handful of narrow houses—some occupied, most abandoned—are scattered over the grid of empty streets. On many of the vacant lots, the grass has been neatly mowed beside a driveway that extends to nowhere. Near one intersection an imposing yellow sign reads, “Public Alert: Area subject to mine subsidence and toxic gas emissions.” Nevertheless, the area doesn't look all that dangerous. The only tangible evidence that the fire still burns is a smoking wasteland a few hundred yards from the edge of town where the ground is hot to the touch and the air reeks of sulfur, where white birch and maple trees have been rendered the color of a new penny. Lamar Mervine, the town’s 84-year-old mayor, comes from a long line of coal miners and has lived in Centralia for most of his life. In fact, he remembers the day the fire started and recalls how no one took any action for four or five months.“I guess they wanted it to get a good start,” he quips. In those early days the cost of putting out the fire was estimated at anywhere from $175 to $30,000, but no party ever made a whole-hearted effort to extinguish the bluish flames. “They're always a day late and a dollar short,” laments Mervine. 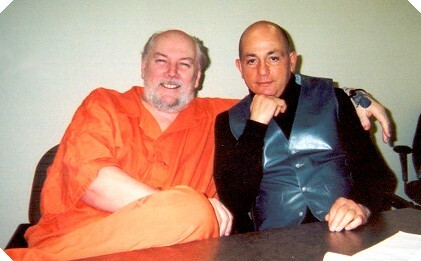 These days it would take more than a few thousand dollars to eliminate the so-called danger. In 1983, the United States Office of Surface Mining (OSM) estimated that $663 million would be required to do the job. Of course, underground fires are not unheard of in the coal mining regions of Pennsylvania. Just last May, a local television broadcast showed workers digging out a mine fire in Carbondale. But the type of coal under Centralia is decidedly rare, and perfect for fueling the flames. Known as anthracite (or hard coal), it's the most valuable type in the world, making up less than two percent of the reserves in the U.S. More importantly, it burns very slowly, emits little smoke, and requires no attention to sustain combustion. Because of this, the anthracite under and around Centralia could continue to burn for the next hundred years. As recently as the early 1980s, the fire was viewed as a relatively minor inconvenience. 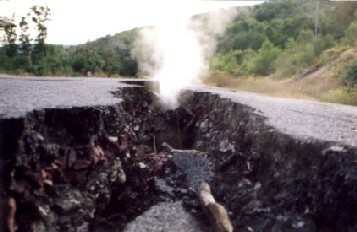 But in 1983, nearby Route 61, a vital transportation link, suffered severe heat damage, leaving the pavement cracked and smoking, harm comparable to a substantial earthquake. At that point the highway department was forced to stabilize the road at a cost of half a million dollars. Then, in 1984, circumstances changed dramatically when the government appropriated $42 million to acquire individual properties in Centralia and relocate the town’s businesses and residences. When presented with a financial incentive to leave people began packing up and abandoning Centralia en masse. 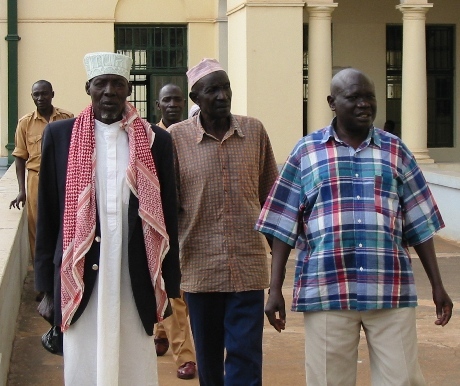 Ever since then, the pressure on the remaining residents to relocate has been omnipresent. Just last year, the town stopped cutting the grass, leaving the job to Centralia’s aging population. “And every once in a while they send us a letter telling us we're still in danger,” says Mervine, referring to the 20 or so residents that get together once a month for a town meeting. And in response to a widely reported story that a young boy once barely escaped plunging into a 300-foot deep hole caused by the fire, Mervine says the truth is far less dramatic; the youngster actually sank waist-deep into a former outhouse hole. So it seems the slow dance between residents and politicians will continue for at least several more years. The remaining residents are mostly “too old to move” and besides, the impact of the fire has seemingly diminished in recent years. Route 61 has been re-routed around the old damaged stretch of pavement and the smoke and heat is currently confined to an area away from where the remaining residents live. Lamar's wife Lana says, “The only time we think of the fire is when people stop and ask for our views. I couldn’t even tell you where the fire is. You tell me when you find it and then I'll know,” she scoffs. 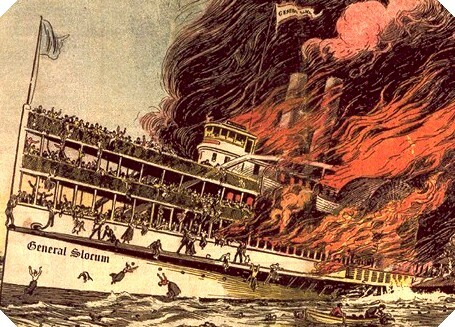 The General Slocum Disaster—Remembering a tragedy: The steamboat General Slocum. 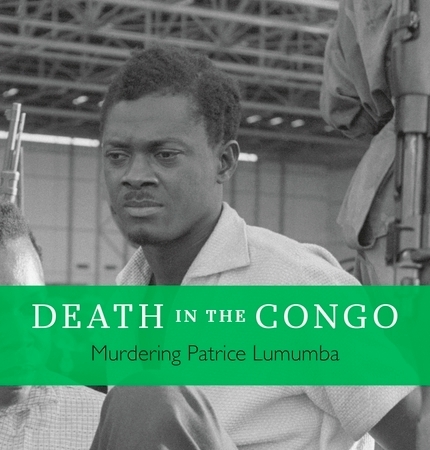 The Fall of Patrice Lumumba—Bruce Kuklick, co-author of “Death in the Congo,” on the infamous 1961 assassination of Prime Minister Patrice Lumumba.